June is Pride Month, and it’s almost here! (Can you belieeeve??) It’s a time to celebrate who we are, how far we have come, and where we’re headed. Here’s a handy guide to making sure you have a great month. Pride in the Park is a huge music and arts festival that celebrates the RGV LGBTQ+ Community. In fact, it’s the biggest and best LGBTQ celebration in the RGV! There’s always so much to do. This year there will be local artists, drag loteria, food, vendors, resources, and giveaways. You can also check out the first-ever La Frontera Queer Film Fest. LEZday Wednesday / Miercolez is a space for lesbians, queer people, and gender non-conforming/non-binary friends to mingle and meet up for a night of music, games, and drinks. It’s a monthly event that usually happens on the second Wednesday of every month but June’s will be special! Los MENtirosos, an amazing drag king group from San Antonio, will be the special guests so be sure to make it out to Yerberia Cultura on June 20 at 8pm. It is very important to make sure to set aside time and read about LGBTQ folx of the past. We have a lot of interesting information on the Rio Grande Valley’s own queer history to share with you. Get started by learning about 21 LGBTQ Latinx historical figures you should know about and 7 early queer and trans spaces in the Rio Grande Valley. You can find more stories and articles on queer history in the RGV here. BTW: We are teaming up with the creators of As I Walk Through the Valley to create Pansy Pachanga, the RGV’s first LGBTQ documentary! 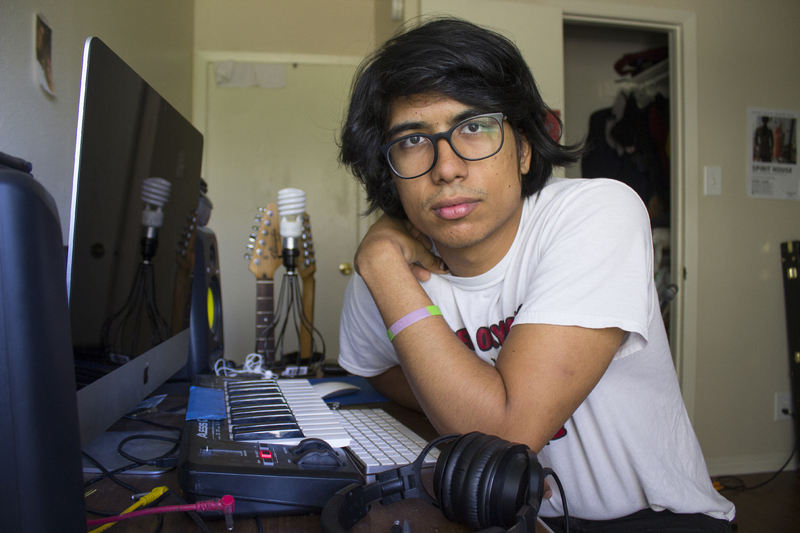 Pansy Pachanga will explore the roots of the LGBTQ community in the Texas-Mexico border region. You can help us finish this production by making a contribution at pansypachanga.com. 4. Use the Neta progressive community event calendar to set up reminders for events you don’t want to forget! We are constantly updating our calendar with events the community can check out. You’ll find actions/protests, shows, workshops, and tons more. Here’s a quick tutorial on how to schedule email reminders for events you don’t want to miss. First, go to our calendar at netargv.com/calendar. Then, select the date and event you’re interested in. Put your preferred email address down and set the hours or days you’d like to be reminded of the event and hit ‘remind me.’ Voila! Listo! We’ve created an LGBTQ playlist for you to sing and jam out to. You can check out the rest of this fire playlist here. Follow us on Instagram and Twitter for upcoming opportunities to share your story!